Aurora offers multiple Partnership opportunities to best fit your business. Generate residual revenue with our reseller program or sell your services in conjunction with our software as a referral partner. Contact us today to learn more about how our intuitive software can expand your business. Aurora’s Authorized Resellers buy software licenses as needed and at a discounted rate. Resellers then sell Aurora software, along with their hardware, installation, support and/or connectivity services to customers as a full-service package. With the ability to white label Aurora software, resellers can market and brand the software as their own without the limitations of Aurora branding or guidelines. Aurora encourages resellers to create business and pricing models that best fits their organizations. Aurora offers a partnership program to organizations that are involved in digital signage but do not want the responsibility of purchasing or maintaining licenses. Aurora's referral partners recommend Aurora software and then receive a commission based on what is sold. 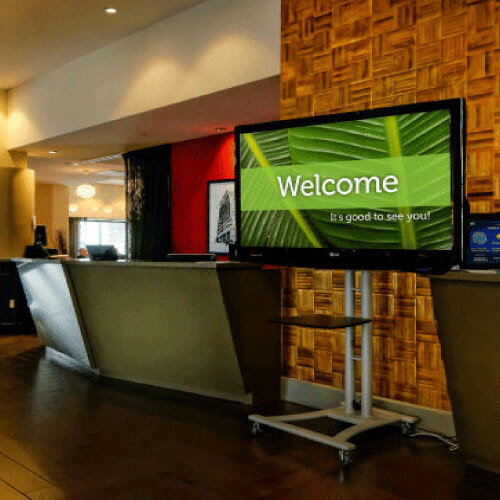 Aurora's partners also have the ability to sell the end-user hardware, installation, graphic design services or connectivity and the team at Aurora handles any other needs of the digital signage project for the end-user. Aurora partners do not have to worry about training or software support. Aurora's Independent Distributor option was created for organizations wishing to run their own digital signage network autonomously. There are no restrictions or limitations with the purchase of Aurora's proprietary software platform. Upgrades, additional features and support are available for additional fees. Click here to schedule a convenient time to talk to the Aurora team. We want to discuss your business and how we can work together.